The number and diversity of new psychoactive substances reported in Europe in recent years represents a major challenge for Europe’s policymakers. This analysis looks at countries’ legal responses to the new drugs phenomenon. Recent years have witnessed a proliferation of new psychoactive substances becoming available in Europe. This can be illustrated through the rise in notifications of new substances to the EU Early Warning System, from just 14 in 2005 to 98 in 2015. Some of these substances will find their way onto the market, packaged and promoted as 'natural' or 'legal' products, in specialised physical and online shops. What policy challenges do new drugs pose? Some substances are so new to the field that, at least initially, there is very limited evidence from scientific research of public health risks — the risks being the primary justification for punitive control measures. Updating the law can take time; some countries require criminal laws to be agreed by parliament, which may take more than a year. However, as soon as one new psychoactive substance is identified by the authorities and controlled, a replacement is often already on the shelves. Entrepreneurs have used the lists in the drug laws simply as exclusions from their potentially vast product range; yet very broad definitions that might control many substances can be so vague that a prosecutor has difficulty proving that distribution was a crime. Adding substances to the list obliges law enforcement to test for those substances, but technical and financial resources for the new tests are not always increased accordingly. Thus the current situation both challenges existing processes and potentially stretches the credibility of control systems. What types of control are countries using? At the national level, the new drugs phenomenon has provoked a range of innovative legal responses geared towards controlling the open sale of these substances. These include rapid interventions that have been put in place to allow countries time to design other responses or to fill the gap before drug law control can be enacted. Broadly speaking, three types of response can be delineated, differentiated largely by the speed with which they can be implemented. These responses are not necessarily mutually exclusive, as some countries have initiated more than one response, either simultaneously or consecutively. Using existing legislation to stop the open distribution of a new psychoactive substance requires little or no time to implement changes. A number of European countries have successfully used consumer safety or medicines laws, which, as they are based on harmonised European Union (EU) definitions, were operational (and available for use) in all Member States. In practice, different types of consumer safety laws have been enforced, some targeting psychoactive products in general (as happened in Poland, resulting in mass ‘headshop’ closures), others directed towards individual substances. In Italy, for example, regulations requiring that goods or food on sale be clearly and accurately labelled in relation to their expected use have been invoked to confiscate products containing synthetic cannabinoids that were not labelled in the national language. A similar approach was used in the United Kingdom to stop the sale of mephedrone labelled as bath salts and plant food. Having first used consumer safety laws, Poland subsequently modified its legal definition of a ‘substitute drug’ (a substance used instead of a drug or for the same purposes) and updated the health protection law, so that it could be used when there was suspicion that a substitute drug posed a health threat. As the harmonised EU definition of a medicinal product appeared not to require such a product to have therapeutic properties, there has been room for countries to use this legislation to respond to new psychoactive substances. When a national medicines agency classifies a new psychoactive substance as a medicinal product, it can then demand a licence for any importation, marketing or distribution. In this way, at least eight countries have used medicines laws to control supply of new drugs. However, in July 2014 the European Court of Justice ruled that this was not a correct interpretation of the harmonised EU definition, and so this method is no longer available as a systematic form of control of new psychoactive substances in the EU (1). An alternative response to the threat of new substances has been for countries to manage them under existing drug legislation, through either modification or extension of these laws. There is often a dearth of reliable information on new drugs, and scientific risk assessment panels have been created in Hungary (2010) and Finland (2011) to provide the evidence base for decisions to control new substances. In order to accelerate legal processes, some countries have introduced temporary control regimes, allowing time for investigation of the need for permanent control. For example, temporary control procedures were enacted in Latvia and Slovakia in 2013, implemented respectively by the Centre for Disease Prevention and Control and the Minister of Health. In 2011 the United Kingdom enacted a procedure allowing temporary class drug orders, under which named substances could be quickly controlled under drug laws for up to one year. A similar system was enacted in Hungary in 2012, revising the risk assessment and allowing the addition of non-therapeutic drugs to the list of controlled substances on the basis that they can pose as serious a threat to public health as substances already listed in the drug schedules. While personal possession of new psychoactive substances has often been excluded from punishment, in 2014 it was made an administrative offence in Latvia, and possession of more than 10 g of active substance was criminalised in Hungary. In the Czech Republic controlled drugs had been listed in a parliamentary law; their transfer to a new government decree in 2014 should reduce the time required to add new substances in future. At the end of 2014 Finland extended its Narcotics Act to cover also ‘psychoactive substances banned from the consumer market’, listed in a new Government Decree following the above risk assessment, with unauthorised supply punishable by up to a year in prison as an offence endangering health and safety. Some countries have chosen to extend the coverage of existing drug laws by listing defined groups of substances, rather than individual drugs as had been done previously. Tight ‘generic’ group definitions have been used for years in Ireland and the United Kingdom, while broader ‘analogue’ groups, or derivatives, are controlled in Bulgaria, Latvia and Malta (see ‘Terms and definitions’). The most comprehensive response undertaken by European countries has been the introduction of new laws to manage unauthorised distribution of psychoactive substances, as has occurred in Ireland, Austria, Portugal, Romania, Sweden and the United Kingdom. In spite of many similarities in the ways in which the new legislation has been developed in all these countries except Sweden, a number of differences exist. Regarding the substance, all five countries define a psychoactive substance as one that stimulates or depresses the central nervous system, which in Ireland, Austria, Portugal and Romania is associated with dependency, hallucinations or disturbances in motor function or behaviour; in the United Kingdom it is one that ‘affects’ the person’s mental functioning or emotional state. In Ireland and Portugal these disturbances should be ‘significant’; in Austria substances can be listed only if they are likely to be ‘abused’ by certain sections of society and pose a possible threat to consumer health. In Romanian and UK law there is no specified requirement for harmfulness. Under the new legislation, naming of a substance is not required in Ireland, Romania or the UK, as supply of any substance that possesses the properties defined in the law is implicitly covered. In Austria, however, the minister for health must name the substances in a regulation; in Portugal the substances are listed in an Administrative Rule, but the authorities also have the power to confiscate and test any other substances if they suspect a serious threat to health, temporarily prohibiting distribution. In addition, the supply of new psychoactive substances is a crime in Austria if the supplier has the intention to benefit and intends that the product will be used for its psychoactive effects; in the United Kingdom the supplier must know that (or be reckless as to whether) the substance is likely to be consumed for its psychoactive effects, while in Ireland only knowledge of likely human consumption is necessary; in Romania neither is required. Maximum penalties for supply in Austria, Ireland, Romania and the United Kingdom are two, five, three and seven years’ imprisonment, respectively, rising significantly in Austria if supply causes serious injury or death. The Portuguese law is different in this respect, defining immediate administrative (not criminal) sanctions and giving to health protection authorities the power to remove substances from sale and close shops. Distinct from the above punitive approaches, Sweden passed a law in 2011 that gives administrative power to police and customs to confiscate certain intoxicating harmful substances, with no other penalty. Prosecutors may then order their destruction; over 5 200 destruction orders have been issued. The rapid emergence of new drugs has prompted a variety of innovative legal responses, and the situation continues to evolve. Since 2009 at least seven European countries have implemented one type of control measure and subsequently initiated another. Criminal sanctions are not uniform; the size of the criminal penalties and the degree of psychoactivity or potential harm that would trigger them vary widely across Europe. What is clear is that the legal systems, accustomed to ‘drug’ suppliers attempting to evade the law, are now faced with suppliers of new psychoactive substances making great efforts to stay within it, and attempting to make substantial profits during the months required to control a new substance under criminal law. Although there is no agreement across Europe as a whole on any one particular way in which to respond to the new drugs threat, two longer-term trends are nevertheless identifiable. First, there appears to be a general move towards the use of the threat of prison to deter suppliers; and, second, it seems that countries are choosing not to use criminal sanctions for those possessing a new substance for personal use. (1) Joined cases C358/13 and C181/14. (3) Synthetic cannabinoids and cathinones: 2011. (4) Synthetic cannabinoids, cathinones and phenethylamines: 2011. (5) Synthetic cannabinoids and cathinones: 2011; cannabinoids, cathinones, phenethylamines and tryptamines: 2012. (6) Cannabinoids, cathinones, phenethylamines and tryptamines: 2012. (8) Cannabinoids, cathinones, phenethylamines and tryptamines: 2013. (9) Cathinones, phenetylamines, tryptamines, piperazines, aminoindanes and arylalkylamines: 2014. (10) Synthetic cannabinoids, cathinones, phenethylamines, tryptamines: 2015. Recent years have witnessed a proliferation of new psychoactive substances becoming available in Europe. The phenomenon has provoked a range of innovative legal responses geared towards controlling the open sale of these substances. The map shows innovations from around Europe. Click on a marker on the map to learn about it. Each one is colour-coded, depending on the type of innovation. Numbers are assigned chronologically (i.e. smaller numbers are for earlier innovations). Austria classified 'smoking mixes' containing certain synthetic cannabinoids under non-criminal medicines legislation, and this proved effective in stopping the open marketing and distribution of 'Spice' in the country, while avoiding criminalising users. Luxembourg added a group definition of synthetic cannabinoids to its drug law, covering three named substances and 'other synthetic agonists of cannabinoid receptors or synthetic cannabinomimetics'. A scientific risk assessment panel was created to provide the evidence base for decisions to control new substances. Mephedrone was classed as subject to the pharmaceutical laws and therefore could not be distributed without a licence. Regulations requiring that goods or food on sale are clearly and accurately labelled were used to stop the sale of mephedrone labelled as bath salts and plantfood. 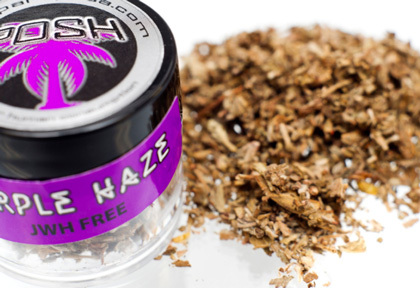 Regulations requiring that goods or food on sale are clearly and accurately labelled in relation to their expected use were invoked to confiscate products containing synthetic cannabinoids (eg 'Spice') that were not labelled in the national language. Consumer safety laws were enforced by the State Sanitary Inspectorate and police. Following 3 500 inspections over one weekend, 1 200 shops were closed. The new Act on the Destruction of Certain Substances of Abuse Dangerous to Health authorizes a public prosecutor to seize and order the destruction of certain substances which can be decided as, or can be presumed to be listed as, narcotics or goods injurious to health. Italy introduced an analogue classification of synthetic cannabinoids under the drug control law in May 2011. In December this was broadened and a group classification of cathinones was also added. Generic groups of synthetic cannabinoids, piperazines, and phenethylamines were added to the list of substances controlled under drugs legislation. Group definitions of synthetic cannabinoids and cathinones were added to the Lithuanian drug control legislation. The Economy and Food Safety Authority (ASAE) confiscated over 65 000 packages of substances from fourteen 'smart' shops due to consumer health concerns. Group (generic) definitions of cathinones, cannabinoids, phenethylamines and tryptamines were added to drug control legislation. A generic definition of cathinones was added to the list of substances controlled by the drug legislation. A new Regulation on narcotic drugs was published, omitting earlier references to 'derivatives' which had proven unclear in prosecution, and instead including generic group definitions for synthetic cannabinoids, cathinones, phenethylamines and tryptamines. The decree-law 54/2013 established a list of psychoactive substances that pose a public health risk comparable to controlled drugs, and prohibits their advertising and distribution, punishable by administrative fines and closure of premises. An amendment to the list of drugs under control now includes several groups of substances defined by generic descriptions of chemical structure. An amendment to the drug law allows the Health Minister to add a substance to a new list for up to 3 years if reasonable suspicion exists that there is abuse, accompanied by harmful reactions. Unauthorised distribution will result in an administrative fine. An amendment to the drug law allows the Centre for Disease Prevention and Control to prohibit distribution of a new psychoactive substance for up to 1 year if reported to the EU Early Warning System or by one of five national authorities. Unauthorised distribution will result in an administrative fine. An amendment to the drug law means that controlled substances are listed in a new Government regulation, rather than in the parliamentary law itself. This should reduce the time to add new substances in future. Possession of more than a small amount (10g) of substances listed as NPS, even with no intent to supply, was criminalised. The maximum sentence is 3 years' imprisonment. Supply related offences with NPS are now criminal, punishable by up to 2 years prison (or 5 if causing grave consequences). Personal possession of NPS is now an administrative offence punishable by warning or fine up to €280. Finland extended its Narcotics Act to cover also “psychoactive substances banned from the consumer market”, with supply related offences punishable by up to 1 year prison. New psychoactive substance: a new narcotic or psychotropic drug, in pure form or in preparation, that is not controlled by the 1961 United Nations Single Convention on Narcotic Drugs or the 1971 United Nations Convention on Psychotropic Substances, but which may pose a public health threat comparable to that posed by substances listed in these conventions (Council Decision 2005/387/JHA). Generic systems: legislation includes a precise definition of a family of substances (such as describing substitution patterns in a parent molecule). Examples are Ireland and the United Kingdom. Analogue systems: legislation includes a more general definition of ‘similarity in pharmacological activity’ and ‘similarity in chemical structure’. Examples are Latvia and Bulgaria. Derivative: a compound that is formally (not synthetically) derived from the structure of a well-known compound. Note: the definitions for 'generic systems', 'analogue systems' and 'derivative' are not universally agreed, but are the ones used by the EMCDDA in its comparisons. In response to the proliferating supply of so-called ‘legal highs’, the New Zealand government has developed a new regime to regulate the manufacture and sale of ‘low-risk’ psychoactive substances. The Psychoactive Substances Act was passed in July 2013. The regime requires manufacturers to pay for preclinical and clinical trials of the finished products they wish to sell, to prove that they are low risk before they are approved. Based on the 2011 final report of the New Zealand Law Commission, and following consultations with the industry, the new approach aims to balance the demand for access to such substances with the risk of likely harm to individuals and society. 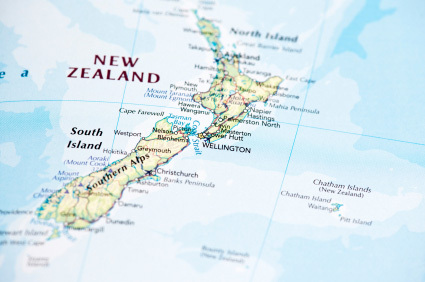 The Ministry of Health estimated that clinical trials may cost up to NZD 2 million (EUR 1.25 million) per product and take 1–2 years to complete. A manufacturer must also pay a NZD 175 000 fee to the regulator to have its product assessed. There is also a range of additional restrictions. The sale of approved products should be to people aged over 18, and there should be no sales from convenience stores or establishments selling alcohol or vehicle fuel. Advertising is limited to within the point of sale, and other promotion is prohibited. Packaging should clearly list ingredients and health warnings. The supply of any psychoactive substance that has not been approved may be punished by up to two years in prison, and personal possession of such a substance will be punishable with a civil fine of NZD 300 (i.e. no criminal conviction is registered). In this scenario, a ‘psychoactive substance’ could be defined as anything whose primary purpose is to induce a psychoactive effect and is not already covered by other legislation (e.g. alcohol, tobacco, herbal medicines). From July 2013 there was an interim regime while implementing regulations were developed, but in May 2014 an amendment ended this, following adverse health reports regarding products and social disruption around stores. This amendment placed a moratorium on applications until new regulations were in place, and introduced a ban on considering data from animal tests in the applications. The new regulations defining product and licensing applications entered into force in November 2014, and retail and marketing regulations are pending. However, the ban on animal test data remains a major obstacle to proving that a product poses a low risk to humans. EMCDDA (European Monitoring Centre for Drugs and Drug Addiction) (2011), Responding to new psychoactive substances, EMCDDA Drugs in focus, Publications Office of the European Union, Luxembourg. EMCDDA (2012), 2012 annual report on the state of the drugs problem in Europe, Publications Office of the European Union, Luxembourg. EMCDDA (2015), New psychoactive substances in Europe: Innovative legal responses, Publications Office of the European Union, Luxembourg.